Please find the monthly readings for the month of January 2018. These readings are based on Moon signs. My readers are requested to check their individual rashi and then check their respective predictions. If not sure of your Moon sign, then please contact me for free to know your Moon sign. – Rahu continues to be in Cancer and Ketu in Capricorn. – Saturn continues to transit in Sagittarius. – Jupiter will continue the transit in Libra. Health and General: The month of January 2018 will start on an energising note. Aries native will have good energy to deal with their daily routine. Generally, many of your pending work which lacked momentum will now pick up. You will be happy with the progress in general. Health will do well. Throughout the first half of the month of January 2018, moon sign lord Mars will aspect your sign giving you immunity to control any serious ailment. Try to ensure good diet and exercise, as this will tone your muscles. After, 16th of January 2018, try not to use much of sharp items as you are prone to cuts and wounds. The wound would get septic and you will find it difficult to manage the same. Career and Business: Aries are known to be serious about their career and business. They work very hard to remain numero uno. 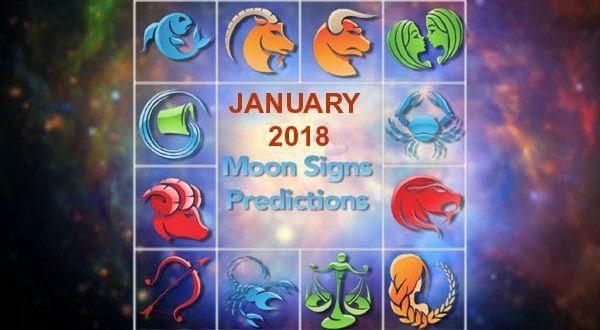 January 2018, will be very progressive for the native of Aries moon sign. Career and Business will see a momentum which was missing. New clients in business will add to your income. Also, native in career and service will get new opportunities to progress. Aries native sign can consider them. Make sure you document the proposal than accepting the same through word of mouth. Overall a good month for career and business. Love and Marriage: Romance and love usually do not suite Aries. Though they are loyal to their partner. The month of January 2018 will see the grace of your sign lord Mars supporting the native of Aries sign in the first half of the month. Singles who have been dating for long can talk to their partner. You will receive a positive response. Add to this, support of Jupiter will improve the chances of getting married. For married couples, life will be blissful in the first half. Love and relationship between couples will be high. A give and take relationship will improve bonding. You will be accommodative towards your love partner. Money and Finance: Flow of money is very important for Aries. Though very impulsive at times, they are particular about their earnings and income. Money and Finance will flow with ease in January 2018. Jupiter’s aspect to your sign is gracing you with continues flow of money. Aries native will spend a portion of their income toward family needs. Though you will be reluctant initially, it would become a routine. The rest can be saved for your future financial needs. Make sure you keep an account of inflow and outflow of money. Money management will be good and you will be content in the month of January 2018. Students and Sports: Students will show interest in learning. An aspect of Mars and Jupiter until 16th January 2018 will improve learning. Both practical’s and theory will be balanced. Students are advised to take the help of your mentors, a few months from now you will appear for Board or University exams. Do not digress from regular learning. Sports players and professional will do very well in the second half of the month. To be precious after 14th January 2018. You will be highly competitive and high confidence will help you to win accolades in sports. Dates to be Cautious: 12th 13th and 14th January 2018. Nakshatra: Krittika (2), (3), and (4) pada, Rohini, Mrigasira (1) and (2) pada. 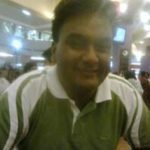 Health and General: For Taureans, January 2018 will be a better month. The second half will prove to be very lucky. Health will improve in general. The house of luck will be activated by Venus on the 13th January 2018, soon on 14th Sun would join the house of luck. Sign lord Venus will reduce all the ailments suffered until now. Day by day you will grow stronger. There will be better health and fitness level. Health will remain immune. In general, you will remain confident in the month of January 2018. Career and Business: Career and Business will show marked improvement in January 2018. Taurus native will get opportunities to travel abroad to accomplish the pending task. This will aid your Career growth. Those into export and import Business will do very well. After 14th January 2018, business and career will be on an upward trajectory for Taurus sign. You will be content with your progress. Love and Marriage: The month of January 2018 is very auspicious for Love and Marriage. Taurus native into a relationship can look up for settling down. The level of romance will be very high. Your partner will also be serious about the relationship. For Married couples, the month will bring many surprises. January 2018 Is a good month to plan to raise your family. Newly married can plan accordingly. You and your partner will be very accommodative and this will improve bonding. Money and Finance: From an astrological point of view, January 2018 will help Taurus native to reduce expense. This will automatically improve cash flow. At the same time, the month is very supportive to invest in speculative dealings. Make sure you keep an eye on the Stop Loss. For Taurus native into Business. Cash flow is sure to improve. Export income will be high. You can prioritise them first. Financially January 2018 will be progressive. Students and Sports: Good month to prepare for exams. Students of Taurus sign will be able to retain what they learned. January 2018 will help students to clear all their last-minute concepts. Please take the help of your mentor. Their assistance will be very helpful. Sports players will have an average month. Stamina will be low. Emotionally you will lack preparation. Taurus natives are advised to prepare accordingly. Dates to be Cautious: 14th, 15th and 16th January 2018. Nakshatra: Mrigasira (3) and (4) pada, Arudra Nakshatra and Punarvasu (1), (2) and (3) Pada. Health and General: The month of January 2018 will start on a better note for Gemini native. Healthwise, Mercury would straight aspect your sigh giving Gemini’s the much-required immunity. Health will be highly supportive. A general sense of confidence will prevail. Throughout the month of January 2018, Jupiter and Mercury are highly favourable to your sign. Please make the most of it. If possible, you can Visit Lord Vishnu’s temple very Wednesday to please Mercury further. This will add to the glory. Career and Business: Gemini native will have an excellent month of January 2018 in Career and Business. Mercury the sign lord is highly favourable. Add to the benevolence, Jupiter is aspecting your sign. New opportunities are assured. Please spread your profile across your known circle. Business dealings will be smooth. Gemini native is known for their negotiating skills. This will be visible on the whole of January 2018. Expansion of business will bring good revenue. You can reinvest the same to bring better returns for future. Love and Marriage: The start of the year is very auspicious. January 2018 will bring new alliances for singles. Partners who have been dating for long can easily settle down in their relationship. Married couples can spend some time in a short holiday. This will bring you both closer. Love life will see a new colour and you and your partner will be very happy to be with each other. Time is good to start new initiatives where partners can join hands together. Make sure the KRA’s are clearly defined. This will lead to a division of labour. Money and Finance: Money and Finance will flow smoothly for Gemini native in January 2018. Investing in lucrative schemes will add to your benefits. Cash flow is likely to remain Green. Good time to undertake peer to peer lending. Especially if you have exhausted all your options and still left with some extra money. Please do evaluate before extending credit. This will keep your money safe. Even in Business, cash flows will be smooth. You will be happy with the timely support of money flow by debtors. If possible do revisit the credit policy for all your business associates. Students and Sports: Students have been preparing very well for a long time. January 2018 will be no different. You will be more serious and ensure last minute preparations. Take the help of your friends and mentors. Some tips to address University or Board Exams will be helpful. Interactions with them will give you some confidence. Sports and Athletes will do well in January 2018. There will be good preparation and confidence. Make sure you spend time practising as this will help you to reduce the gap in preparation. Dates to be Cautious: 17th, 18th and 19th January 2018. Health and General: The month of January 2018 will be mixed for Cancers. Health will be average. Rahu in your sign will bring down the level of stamina. Some caution is advised. Especially with the intake of food. Food poison can be a common problem. Please remain cautious. Generally, the month of January 2018 will see some slow down. Especially in the second half of the month which is after 14th January 2018. Some aggression is possible on the personal front. Please do not get disappointed as there will be some good and average in terms of achievement. January 2018 may be average for Cancers. Career and Business: The month of January 2018 will be average for business. New opportunities may not open easily. Old business deals will take time to get revised. Hard negotiations would be needed. Try to lure your associates to please them to expedite the negotiation process. Career will be better in January 2018. Efforts will earn good returns, especially after 14th January 2018. All the pending work will slowly get completely. For change in job or new opportunities, Cancerians are advised to hold their decision for some time. You will get good chance to prove your worth in the present organisation. Love and Marriage: Love and marriage may not be as per expectation for Cancers. The month of January 2018 will be average for married couples. Constant fights cannot be ruled out. Please keep your personality in check. Temporary separation in married life cannot be ruled out. If possible spend the time to remain alone. Some solitude will make you realise the importance of love life. This will do away the differences. Love life too will be poor. There will be a quarrel between partners. Please maintain a low profile. Try to accommodate each other’s views. It is very important for better compatibility. Money and Finance: The month of January 2018 will be average for money and finance. Especially after 14th January 2018. Sun would be helmed in between Rahu and Ketu in the second half. This will increase your expenses. You will be impulsive. Try to save as much as possible. This will help you in future. In business, cash flow problems will be high. Cancerians are advised to relook the credit policy in the business. Please focus on recoveries. This will help you to manage your money and finance much better. Students and Sports: Students will have to prepare very well in January 2018. You are just a few months away from Board or University exams. Please take them seriously. There needs some hard work to prepare since retention level will be low. Do not leave any stone unturned. The competition will be high. Take the help of your mentor and no group studies, please. You will get easily digressed while interacting with your friends. For Sports and athletes, January 2018 will be tough. Level of Competition will be high. You will face some tough opponents who will demand preparation. Please take them seriously. Dates to be Cautious: 19th 20th and 21st January 2018. Health and General: There will be a sigh of relief to native of Leo. The first half of the month will see some slow progress. There will be no much achievement but at the same time no much loss. The month will start in a snail pace, generally. Health will be good. But as soon as you move to the second half after 14th January 2018, you will gain much strength and immunity will be excellent. You will triumph all your problems with ease. As Sun will move to the 6th house from your sign concurring any problem or failure faced till now. Even verdict in litigation will be favourable. Career and Business: The month of January 2018 will be progress for Leo native in career and business. You will see new opportunities pouring in after 14th January 2018. A conjunction of Sun and Mercury from 28th January 2018 will make you dexterous. You will champion every art to deal with a difficult situation at job front. Some of you will turn out to be blue boyd eye to their superiors. There will good faith in you and you can be given a responsible position. For native in business, the month will be good. Though nothing special, but your dealing will give you the required returns. Love and Marriage: For Love and marriage, the month of January 2018 should be carefully managed. Personality clash cannot be ruled out. Both partners and Couples will find it difficult to accommodate each other’s view. Please understand love and relationship need mutual understanding and companionship. For married couples, the month will be quarrelsome. There will be a constant misunderstanding. Married life will be stressed. Please maintain some distance and do not be imposing. Collaboration is the word and not confrontation. You will realise this in the second half of the month. Try to maintain a low profile in a relationship. Money and Finance: The month of January 2018 will be special for Leo native. You will gain money from every corner. Application for any loan amount will surely be cleared. Also, the quantum can be relooked. You can be given a higher quantum if reworked your financial requirement. Money flow will be very good. The month is also good to avail loan and to invest in landed property. The return from such investments will also be favourable. Make sure, you are the sole owner of the property. Else this can lead to some misunderstanding in the future. Students and Sports: For students learning will be their priority. They will leave no stone unturned. If appearing for any competitive exams the time is very auspicious after 20th January 2018. You will score very well and this will help you to improve overall performance. Try to maintain the steady learning curve. If necessary try to seek assistance from your mentor or guide. They will give you the required direction. Confidence will improve due to this. For Leo native in sports, the month of January 2018 will be average. No much achievement can be expected. Though you will give a tough fight. This will earn you laud applause. Dates to be Cautious: 3rd, 4th 5th then 22nd, 23rd and 24th of January 2018. Heath and General: January 2018 will be a vibrant month for Virgos. Since the start of the month, Virgos will be blessed with confidence and shall achieve what they desired. You will be quite pleased with the blessings of the Almighty in the entire month of January 2018. Health will also be very supportive in the month of January 2018. Immunity will be high. Good food and exercise will make you Fit and fine. You will be happy with the agility and ability that will provide you with the ease which is needed. In General, the month of January 2018 will be full of achievements. Career and Business: The slowdown which prevailed last month will now slowly open the doors for new opportunities. Virgos who have been unable to overcome the work pressure last month will now be a triumph. You will Take every step to improve your skills to remain competitive in the career. This will attract new employers in search of talent. So, keep your CV ready for immediate inspection. You can be lucky to get a spot offer. Even if trying to find overseas opportunity, the month will give you many options. For Virgos in business, the month will be very good. New sale orders will increase the business turnover. This will bring you good revenue and improve the valuation of your business. Love and Marriage: A great month for lovers of Virgo sign. The month of January 2018 will see the touch of romance and love being benevolent to your sign. Singles looking for a new alliance will come across many. You will be pleased with the genuinity of your partner whom you will forge an alliance. Love life will be colourful and you will be concerned about your partner’s wellbeing. There will be good progress in personal life. For married couples, the month will bring some special movements. If planning to raise a family, then January 2018 will be blissful. Overall a great month for Virgos. Money and Finance: Money and finance will be wisely spent in January 2018. Though you will have plenty of money, you will be puzzled when it comes to spending them. Some of you will relook at their investment portfolio. This will help you to have a perspective of your wealth accumulation. Financially you will be clear about your future earnings. Also, those Virgos in business will see a steady rise in income. New deals will be lucrative. Even revision of existing deals will prove to be favourable. Time after 28th January 2018 will be every more beneficial. Students and Sports: Students will have an excellent month of January 2018 for studies. You will be serious and will prepare very hard for the upcoming exams. This will give you confidence. If possible do undertake some mock test to understand the areas of improvement. Also, consult your mentors for a better understanding of your mistakes. They will serve as a guide to help you improve the areas of weakness. For Sports players, the month of January 2018 will be good. Especially athletes participating in an intellectual competition. You will do very well in the competition. Dates to be Cautious: 5th, 6th 7th then 24th 25th and 26th January 2018. Health and General: In General, the month of January 2018 will be very good. There will be domestic peace. Librans are known to love peace and January 2018 will provide you the required peace of mind. Healthwise the month will be very good. Most of you will enjoy and relish homemade food. There will be high standards of fitness level which you will benchmark. You will also keep yourself disciplined to it. Though occasionally you might indulge in fattening food. Keep the routine of exercise on track. This will balance your fitness levels. Career and Business: Librans are hardworking. They love to remain engaged in work and professional. The month of January 2018 will give you the required opportunities in career and business to progress from every possible manner. Those into the career will be pleased with the ease which was missing for long. Jupiter in your sign and in his own constellation will energise the house of intelligence, partnership, luck and fortune. The same blessings will be extended towards business. Especially if dealing in service exports, the month of January 2018 will give you many new opportunities. Love and Marriage: Librans are known to be balanced in relationships. January 2018 will be no different and can make your partner confused occasionally. Try to communicate to them regularly to make them feel important. They will be happy with your conduct, giving them the required importance. Romance and love can touch a new height with this. It would be a wonderful month for Lovers. For Married couples too, the month is no different. In fact, if planning to settle your relationship into a nuptial knot, then the month is very auspicious. Especially after 13th January 2018. Money and Finance: If money is falling short, then January 2018 will turn them into abundance. You will be surprised to get maximise your earnings which will prove to be very lucrative. Try to maintain a good steady flow of income towards investment. They would come into use in future dates. Also, January 2018 is very auspicious to invest in properties. Financial support from organised institutes is assured. You will feel content with the support provided by them. Just ensure that they provide you the required money on time, as some unnecessary delay can be irritating. Dates to be Cautious: 8th, 9th and 10th. 29th, 30th and 31st December 2017. Nakshatra: Vishaka (4) Pada, Anuradha, and Jyeshta Nakshatras. Health and General: Scorpions are a Fixed sign. They are known to remain fixed and determined in their approach. In General, the month of January 2018 will be positive for Scorpions. Health will be average, though nothing alarming till 16th of January 2018. Post which Mars, the sign lord, will move to the sign, giving the required strength to stay immune. You will be agile and strong. Overall the month of January 2018 will bring many good movements to Scorpions. As the month would proceed, many new phases of life will unravel. Giving you the much confidence and courage to face them. Career and Business: Career and business will see excellent progress in January 2018. Starts from 13th January 2018 to the following month, you will stay courageous. Career opportunities will open. New offers will come in easily. You will be surprised to see the sudden momentum which was lacking all this while. Slowly, even business expansion is likely. Investing in your business will give you the much-required Return on investment, eventually. Your decisions will be immaculate and shall be precise. So, make the most of the this in the month of January 2018. Love and Marriage: Scorpions are known to be loyal partners. They have always been and will continue to embrace their spouse or partners. January 2018 will be a month where you will go brazenly in convincing your partner of your genuinity. Lovers will have a good time, though try to remain temperamental. The time ahead in improving, so if your partner takes time to see eye to eye with your emotions, then allow them to settle down. You will see a much better life with your partner, eventually. Married couples will see improvement in bonding. Time is auspicious to raise a family. Money and Finance: The last month was full of challenges to earn and save money. This would have made Scorpion little worried about future and earnings. But January 2018 will change that all. Right from the start, Mercury in your sign will give you multiple avenues to earn money from. You will be happy to see that the almighty has been kind with you and that you have been able to earn and save as much as you could. Moreover, Mars in your sign from 16th January 2018 will add to Financial stability. It would be a very progressive and prosperous month of January 2018. Students and Sports: Scorpion students are very hard working. They believe in dedication and their conviction often helps then as an intuition to prepare in every aspect of education. Students, the month of January 2018 will come to your as a blessing in disguise. Especially the second half of the month. For the past few months, you lacked concentration which could not allow you to prepare very well. But now, your hard work will bring you excellent results. You will see retention improving. Confidence will be very high. Even in sports, your agility will make you competitive. You will win the importanat contest and shall be undefeatable. Dates to be Cautious: 1st, 2nd, 3rd then 10th, 11th and 12th January 2018. Health and General: Sagittarians are known to be me, first individuals. Through Jupiter is transiting through the house of gains will give you the required achievements, but Saturn in your sign, leaning Peak sade sathi will advise you to remain cautious. Generally, the month of January 2018 will see a mix of struggle and ease. So, keep your frustrations in check. Too much of verbatim will invite the wrath of Saturn. As far as health is concerned, the month of January 2018 will be excellent. Jupiter will give you the required stamina and energy which will keep you fit and fine. Career and Business: Business will be moderate in the month of January 2018. Expansion plan in business can be put on hold. Even additional investments should be held back. They will not bring the required results immediately. Try to give some time and the coming months will bring positive results. As far as service is concerned, Sagittarius native will have a good month. January 2018 will allow you to focus on areas of improvement. You will be skill full in completing the task and your career will automatically move to a new trajectory. Love and Marriage: Love and romance is natural to you. Through at times you turn flirtish and get attracted to beauty, January 2018 will ask you to restrain from multiple relationship. Though your married life will be happening. You will spend quality time with your spouse, giving you the much-required impetus in rejuvenating your relationship with your partner. Newly married will be romantic. This will be a blissful moment in life. Try to accommodate each other since this will bring you both closer. Venus in your sign and to the second house from your sing will keep you romantic for the whole month. Money and Finance: Sagittarians are known to save money for their future. You will save more during January 2018. Though impulsive spending will not stop. But you will control them effectively. Earning will continuously improve, giving you the required financial cushion. Even in business your cash flow will improve. You will work on the aging list which will ease the cash requirement. If possible try to reinvest the earnings are this will improve future earnings. Though the time is not favourable for investing in property, income through property rent will steadily give you returns. Students and Sports: Students will have a mixed time in January 2018. Sagittarian students are known to enjoy shortcuts. But this will not work in January 2018. You will have to work hard as Saturn in your sign will discipline you from head to toe. Though he believes in sternness, Saturn certainly rewards hard work. So, make it a point to follow a strict learning schedule. You will be happy with your preparation. For Sagittarians into sports, the month of January 2018 may not be rewarding. Your sportsmanship will be questioned. Learn to accept some tolerance during failure. Dates to be Cautious: 4th, 5th and 6th then 12th, 13th and 14th January 2018. Health and General: Capricorns are known to be down to earth individuals. They do rely on grass root details before taking any decision. Generally, they think deep before arriving at any final call. The month of January 2018 will be average to Capricorn native. They will have many oppositions which needs to be handled wisely. Again, health will be moderate. There would need some balanced diet and exercise on regular basis. This will keep you fit and fine. Though occasionally you will suffer from viral infection, especially from 13th January 2018. Little medication will help you to overcome the problems. Career and Business: Capricorns are known to lead the mass. They prefer to grow from the grass root. Career will have a tough phase in January 2018, but you will handle the issues with a firm hand. Though it would not be easy, still you will progress at snail pace. Try to remain focused and this will bring stability to your career. On the other hand, Business in a partnership will need some attention. A silent dissent may rise against you by your partners. They may not easily accept your ideas and any dissent should be read be between the lines if need be. Love and Marriage: Love life will be normal in January 2018. There can be frictions in a relationship between partners. There will be interest in each other’s wellbeing, but only after 13th January 2018. There will be better understanding between the two of you. But at the same time, there will be interest in infatuation. Since Venus and Ketu are conjoined, do not advance towards an unknown person. Especially towards female of lower status. Again, for married couples, the month of January 2018 will be mixed. Do not give any wrong vibes towards other females. Money and Finance: Money is important to everyone and for Capricorn native, the lord of money is Saturn is placed in the 12th house. Also forming a Saturn’s Sade Sathi. Money flow will be very difficult for the month of January 2018. Capricorns will find it difficult to manage expenses through their income. Please control your expenses for the month. If possible do prioritise them for better management. At times, you will be happy with frugal means. Even Capricorns in business are advised to manage their cash flows wisely. You may burn cash if not watchful. Students and Sports: Education and learning will be below the curve. Students will lack interest in learning on a regular basis. Please maintain the focus. If you are lenient then preparation will be very weak. Especially students appearing for University or Board exams. You are advised to take the help of your mentor since they will give you the required directions. But be rest assured, hard work will not go into a vein. As Saturn’s sade sathi will ensure your hard work is rewarded, in a timely manner. Again, for Capricorn native into sports will find it difficult to remain competitive. Preparation will be below standard. Take the help of your coach to improve areas of weakness. Dates to be Cautious: 7th, 8th and 9th then 15th, 16th and 17th January 2018. Health and General: Generally, the past few months have been very favourable to Acquires native. But the month of January 2018 will be mixed for Acquirens. As many as three planets, Mercury, Venus and Sun will transit through the 12th house from your sign. The 12th house is the house of loss. Therefore, some shortcomings can be expected for Acquirens, though Jupiter in the 9th house of luck and sign lord Saturn in the house of gains in 11th house will arrest the downslide. Health will be good, but occasionally some joint pains cannot be ruled out. Timely diet and fitness plan would be helpful. Career and Business: Career and business will be progressive, though little slow. Especially Acquirens looking for a career change will surely find a good change. Opportunities will continue to pour in. Your Superiors will be pleased with your work. They will appreciate your meticulous work. If looking for overseas opportunity, the January 2018 will bless you with many good opportunities. Again, native into Business will see new expansion happening in the first half of the business. Try not to postpone important decisions after 14th January 2018. Since there can be shortcomings in your decision making. Love and Marriage: Acquirens seek more in everything. They are least satisfied with relationship and bonding. January 2018 will ensure your emotions are embraced by your partner or spouse. Though, this will be possible until 14th January 2018, the second half of the month can see some misunderstandings creeping in your relationship. Try not to lose temperament. Also, be accommodative of your partner. This will bring you both close. For singles, the month of January 2018 will be good. Marriage proposals will knock doorstep. Ensure a Matchmaking and once convinced then enter a nuptial knot. Money and Finance: Money and Finance will be excellent in January 2018. There will be a good flow of money throughout the month. Especially any long-term investments will turn fruitful. They would mature and you can redeem them to either reinvest or use them for your purpose accordingly. The money flow will come in easily. Returns will be good and you will be happy with money management. The month is also good to invest in Property. You can also get good returns through rent collection. Try to diversify your investment portfolio. Also in business, the cash flow will be steady. Students and Sports: Students and education will be important. Acquires students work very hard as they are insatiated of their own preparations. You will work very hard for the upcoming exams and this will improve your performance phenomenally. Even your mentors and teachers will have a great opinion about your hard work. You will not disappoint anyone and shall continuously prepare for the upcoming exams. Overall a good month for Students. For Sports players and athletes, the month of January 2018 will be average. This will be due to your focus on education and learning than on sports. Dates to be Cautious: 6th, 7th and 8th and then 14th,15th and 16th January 2018. Health and General: Generally, Pisceans are foody. They enjoy good food and rarely health conscious. January 2018 will be a month full of good food and you will relish every moment. Starting from 13th January 2018 as many as three planets will move to the house of gains, which is 11th house. You will experience an ease which will help you in gaining every movement. Healthwise you will be healthy, but untimely food or high protein intake will take a toll on your health. You can suffer from Stomach upset which will imbalance your system. Some caution is advised. Career and Business: Pisceans are known to be careful of your career progress. They rarely remain reliant and this makes their superiors rely upon them, blindly. Also, make no mistake, you will have to pull up your socks as per their expectations. This will improve rapport. Native into profession or business will have a gainful month. Many of your clients will renew their contract with you. This will ease out the certainty of your work and business. Try to give your clients a good deal to make them feel important. This will aid your negotiation even better. Love and Marriage: Pisceans are known to be romantic towards their partner. They bond very well with them. this is a uniqueness which attracts your partner towards you. January 2018 will see a slight improvement in your relationships. Especially if dating your partner. The duo will plan to settle down in a relationship and if the natal chart is also supportive, then you can go ahead. At least a ring ceremony will be advisable. For Married couples, the month will be romantic. Couples will enjoy each other’s companionship. The month of January 2018 will be excellent to raise a family. Money and Finance: Money and Finance is another area which the month will be supportive. You will earn from various quarters and this will improve bank balance. Professional will review their retainer-ship fees. This will bring you some additional income. For Pisceans in service, make sure you manage your tax planning as this reduce the outflow. Else soon, you will be forced to pay a heavy penalty. Try to prioritise your outflow as this will give you some additional savings. Again, if expecting some old outstanding dues to be cleared in your favour, then the month will be auspicious to make follow-ups. Students and Sports: Finally for Students, the month of January 2018 will be favourable. You will be able to comprehend important topics. Retention will improve and you will be happy with the level of preparation. Last minute preparation should be only for revision. Some of you will take the help of your mentors to seek assistance. They will be more than happy to assist you. Remain dedicated as this will improve confidence. For Sports players and athletes, the month of January 2018 will be mixed. You may not give much as your focus towards education will get prioritised. Dates to be Cautious: 8th, 9th and 10th then 17th, 18th and 19th January 2018.